Origami doesn't need to be a stationary piece of art. 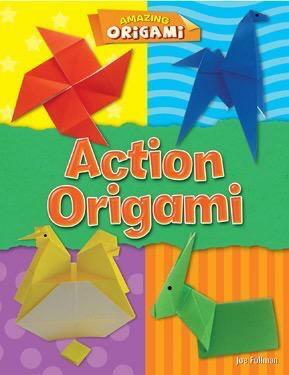 From a hen that can lay an egg to a beating heart, the projects in this book make origami interactive even after it's been created! Step-by-step instructions take readers through a series of projects, each labeled easy, medium, or hard to guide origamists to the crafts appropriate for their folding skill. Full-color photographs introduce the basic origami techniques as well as add a visual reference for each step in the projects.